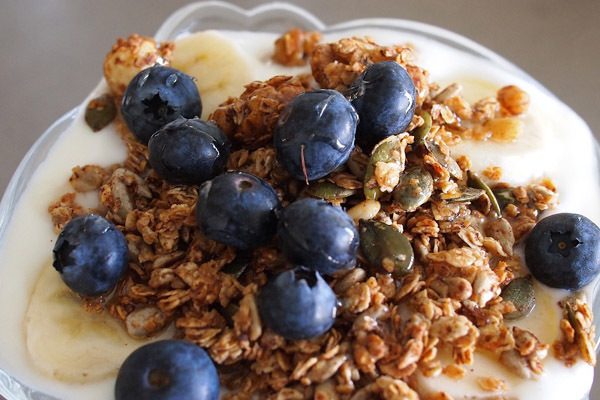 Yogurt 2.0: Beneficial Probiotics But Sugars Not so Much! Still like me a daily consumer of yogurt? Posted a blog here on it back on January 20, 2014. Focused last time mainly on fat levels and additives including artificial sweeteners. The buzz for health benefits of probiotics (live micro-organisms) has been well documented including help for your large intestine, cholesterol levels, blood sugars, plus flu & colds. The yogurt industry has been on the move recently with many success stories such as Turkish immigrant Hamdi Ulukaya starting his Chobani (“shepherd”) brand in 2007 reaching now over $1 billion in annual sales for his Greek yogurt. Most consumers are not aware that yogurt has sugar in confusing amounts and sometimes quite high levels. 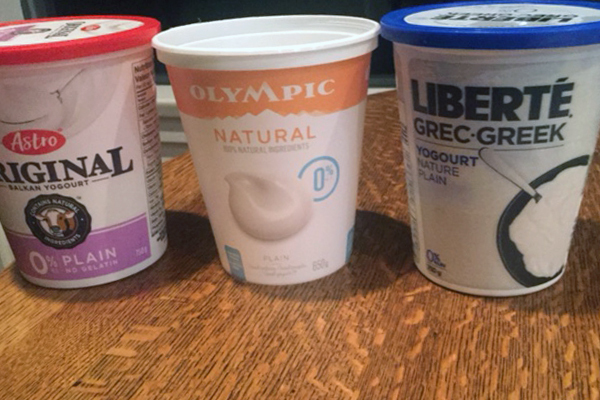 My usual 3 go to 0% fat yogurts are the lowest priced Astro Balkan Plain (5 grams sugar/125 grams), local Olympic Natural Plain (7 grams/175 grams) and my fav Liberte Greek Plain (6 grams/175). The newest product is Liberte Skyr Icelandic style advertising less sugar and no sugar added. 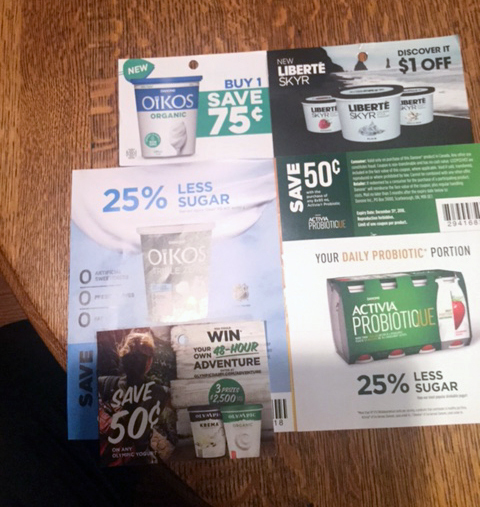 Oikos has Triple Zero (Artificial Sweeteners, Preservatives, and Fat) as well as Organic. Non-Dairy yogurt are expanding too using almond, coconut, and soy for lactose intolerant, vegan, dairy allergic and all of us. There does seem to be a trend to a more natural product with less sugar which is good news. Still it is somewhat of a nightmare shopping for yogurt with so many choices but some much better than others. 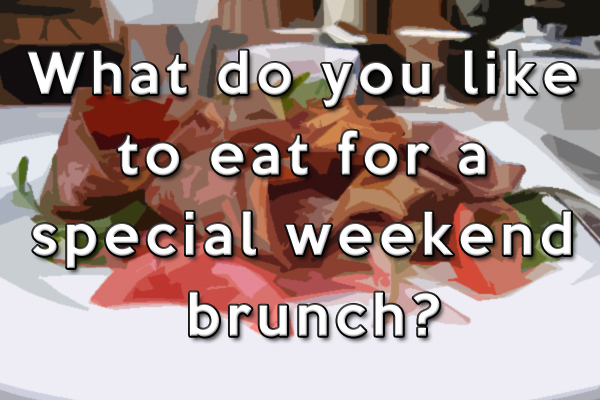 What is your preferred yogurt? Are you a fan of yogurt?